The website Story Board, a joint initiative by the union, the Canadian Media Guild and the agency, the Canadian Writers Group, is conducting an online survey of Canadian magazine freelancers, results of which will be released the morning of the National Magazine Awards. Gearing up for the NMAs this month, we thought a survey on the state of magazine freelancing in Canada was in order. It’s also a chance to take your own picks for the best work in Canadian magazines last year (see the NMAF’s list of nominees). The survey questions are apparently designed both to gather information about freelance incomes, payments and working conditions but also to provide ammunition for the organizing drive the joint venture has undertaken. "The difficulty with what's "obvious", what anyone can plainly see, is that, in media matters, it's very rarely true." -- Peter Preston, writing in The Guardian about the several "obvious" beliefs: that if you read a big Saturday paper, you won't need one on Sunday; that if you read a newspaper's website, you won't go and and buy a paper; if circulation declines, so will readership; and young people don't read papers. If you're looking for irony, it has to include the fact that Marc Emery, the publisher of Cannabis Culture magazine languishes in a Mississippi prison after being extradited from Canada at the behest of the U.S. authorities for selling marijuana seeds. And this week, marijuana seeds will be sold openly by 33 seed companies in the Metro Toronto Convention Centre.This, according to an article in Cannabis Culture. The Treating Yourself Expo, Canada's largest medical marijuana and hemp trade show (organized by Treating Yourself Magazine, Canada's bimonthly medical marijuana publication) has sold about $30,000 in advance tickets so far and has 108 exhibitors, according to organizer Marco Renda. There will be competitions, a roster of speakers and the "World's Largest Vapor Lounge" open to anyone with a medical marijuana card or a compassion club membership..The event itself is open to anyone 16 years of age and older; minors must be accompanied by an adult. Mennonite influences are shot through the literary and music scene in Winnipeg, according to an article in Canadian Mennonite magazine. Aaron Epp notes that writers with Mennonite roots such as David Bergen, Miriam Toews and Di Brandt are self-evident. Perhaps less well-known is the fact that one of the most sought-after recording engineers and producers in Winnipeg, John Paul Peters, was brought up Mennonite. As was Michael Petkau Falk, artistic director of the West End Cultural Centre. 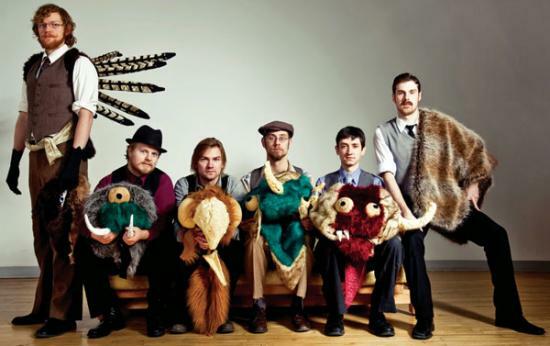 But why are Mennonites dominating Winnipeg’s music scene right now? Robertson received the award for her role as plaintiff in two class-action lawsuits on behalf of freelance writers whose work was used in online databases without their permission or payment. Because of Robertson’s 13 years of advocacy efforts, the Thompson Corporation was required in 2009 to pay $11 million to print-publication freelancers, including those at the Globe and Mail, whose work had been reproduced online without consent. On May 3, 2011, the Toronto Star, Rogers Publishing, Canwest, and others, were ordered by the Ontario Court to pay a $7.9-million settlement, nicknamed Robertson 2. Robertson is a founding member of The Writers’ Union of Canada and the Professional Writers Association of Canada. Aside from being a freelance journalist, she is the author of Reservations Are for Indians and Walking in the Wilderness. It takes nothing away from the award that the Robertson case, as it became known, was something of a Pyrrhic victory since publishers simply henceforth changed contract language that demands "all rights" from freelancers in order to work for them. However, Robertson's courage and tenacity may provide an example in the long term for all freelancers to stick up for their rights and demand reasonable treatment and fair compensation. The Graeme Gibson Award is named for the novelist and one of the founding organizers of The Writers' Union (and its chair 1974-75). James Fitzgerald, for What Disturbs the Blood (Random House Canada). Fitzgerald has been a frequent contributor to Toronto Life and the University of Toronto magazine. Ken Sparling, for Book (Pedlar Press). Publication of Sparling's first book was the result of submitting work to the late Toronto literary journal Blood & Aphorisms. Paul Vermeersch, for The Reinvention of the Human Hand (McClelland and Stewart). Vermeersh's poetry began to be published in respected poetry journals in the late 1990s, later gathered into anthologies, and his work has been profiled in such magazines as Taddle Creek and The Danforth Review. Dani Couture, for Sweet (Pedlar Press). Couture's work has appeared in many literary journals, including Taddle Creek, The Fiddlehead and ARC Poetry. Jeff Latosik for Tiny, Frantic, Stronger (Insomniac Press). Latosik's poetry has appeared in many Canadian indy magazines and journals, including winning the P.K. Page Founder's Award from The Malahat Review in 2007, placing first in This Magazine's Great Canadian Literary Hunt in 2008. Shane Neilson, The Complete Physical (Porcupine's Quill Press). Neilson was a National Magazine Award nominee for poetry and won ARC Poetry's 15th annual Poem of the Year contest. Peter Norman, At the Gates of the Theme Park (Mansfield Press). Norman's work has appeared in The Malahat Review, The Fiddlehead, Prism International and the Byword Quarterly Journal. The most important thing a magazine can do online is maintain its brand and be very strong in terms of delivering on that brand. And then link it to the magazine in such a way -- or at least this is going to be our strategy -- link it to the magazine in such a way that it does things in the same field with the same brand and the same point of view, but not things you can do in print. Now I think that you can build both successfully -- make the whole experience more exciting for your print reader and vice versa -- and then it's easier to sell to advertisers, I think, packages as well as the raw sheer buying that they do for tonnage. But I think it's a mistake to think that you should put your magazine itself online. As you point out, there's not enough audience, the numbers are not there for ad sales, you're not going to get a lot of money on that. The magazine business, or at least the leaders of the magazine business, have been struggling for a long time, they've invested millions upon millions of dollars because they've had their heads in the sand about this whole thing. And maybe they're figuring it out now. We never have gone that route. We've just been making money. -- Jann Wenner, in an interesting Q & A with Advertising Age. Magazines Canada has released a new batch of "hotsheets" -- freely available, one-and two-page professional development documents that address a single topic, written by an expert in the field. In all, going back to 2006, there are now 44 hotsheets. The latest batch offers tips on creating podcasts, organizing a launch event and designing better covers to encourage newsstand performance. Plus a couple aimed directly at business-to-business publications, which have only recently become members of Magazines Canada. For instance, Mira Shenker, the editor of ReNew Canada talking about Walking the Tightrope: How B2Bs Can Keep Ad Away From Edit. Maclean's and other Rogers Publishing magazines will be tapped for content for the new 24-hour news television channel being launched by Rogers Communications Inc. CityNews Channel will be launched in October, a complement to the company's 24-hour news radio station 680 News and Citytv. The new channel will be going up against the recently launched Sun News as well as established all-news outlets CTV News Channel and CBC News Network and Toronto-only CP24. “We're taking the number one news radio format in Canada, 680 News, and bringing it to television under the brand CityNews Channel,” president of Rogers Broadcasting, Scott Moore, said in a statement Monday. The required 72 hours notice has been given by the Canadian Union of Postal Workers (CUPW) for strike action against Canada Post Corporation, which could mean that mail will not be delivered starting on Friday morning. The triggering of strike notice required by federal labour law does not necessarily mean that there will be a postal walkout, only that the union reserves the right to do so. Negotiations are likely to continue right up to the deadline. The union, representing about 48,000 letter carriers and inside postal workers has been a legal strike position since May 25 and is backed by a mandate from its members of almost 95 per cent, according to a story in the Toronto Star. Negotiations have been going on for 7 month and most of the contention concerns rollbacks of benefits that had been in the last and previous contracts. At issue are wages, especially for new hires, as well as sick leave, pensions and technological changes. The union has also questioned management’s assertion that its demands would cost $1.4 billion over the contract term. Citing rising inflation, the union is proposing wages of 3.3 per cent, 2.75 per cent, 2.75 per cent and 2.75 per cent in each year of a four-year deal. Canada Post has offered a four-year deal with wage increases of 1.9 per cent, 1.9 per cent, 1.9 per cent and 2.0 per cent in each year. Design Edge magazine has launched an iPad and iPhone verison of its bimonthly print publication, effective with its May/June 2011 issue (current). According to a story in Masthead, Design Edge's sister (online) title, the launch is timed for the May/June cover story about "Design and the move to mobile". The tablet edition was produced through Canadian magazine distributor Disticor, which has partnered with U.K.-based company MagazineCloner to offer digital publishing solutions for iPad and iPhone. The app is downloadable for 99 cents. The first issue is free and $2.99 thereafter. "We're betting that iPad-equipped designers will spend the equivalent of one latte to get the extra rich media content in the tablet edition," says publisher Doug Bennet. "We'll know in a few months whether that's true or not." Negotiations are likely to go on through the weekend between Canada Post Corporation and the Canadian Union of Postal Workers, but if they fail, mail service for magazines (and everything else) could be disrupted Monday or Tuesday by a strike or a lockout. It seemed likely that by end of day Friday, CUPW would give the required 72 hours notice for a strike, which could see a strike begin Monday night. CPC said in a release today that it was "disappointed" with the CUPW's response to its latest offer. It continued to maintain that the union's demands would cost it $1.4 billion over the lifetime of a contract, though it refuses to explain how it calculated that figure. Among other things, CPC wants to reduce labour costs by reducing the salary of new employees from $24 an hour to $17.50, according to the union. CUPW said Canada Post slightly increased its wage proposal in its latest counter offer but reneged on two aspects of their previous offer and dropped some other demands for rollbacks, but without addressing some of the union’s priority demands. For instance, says the union, it is demanding a 50% reduction in sick leave. In an earlier bulletin, the union said CPC need to drop its "extreme" bargaining tactics. For sixteen consecutive years CPC has been profitable. Yet, throughout the current negotiations, the Employer has taken extreme positions concerning the financial aspects of the negotiations. Instead of identifying problems and discussing solutions, they came with ultimatums. Reader's Digest magazine has announced that it achieved the highest score of any magazine brand measured in Canada's largest independent brand equity survey. 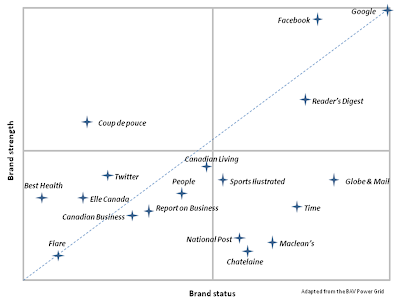 The BrandAsset Valuator® is a proprietary study conducted by Young & Rubicam Canada Ltd. and among the magazines included, RD came out with the highest score in terms of brand strength and brand status. [The graphic above has been adapted, with permission.] 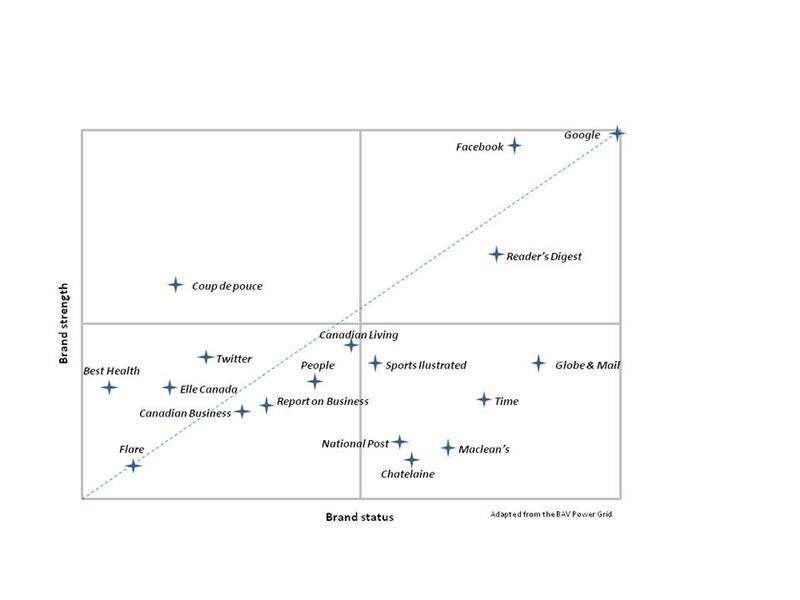 The 2010 results are based upon a survey of 6,694 respondents nationwide in English and French, looking at 661 individual brands based on 72 different brand metrics. An equivalent is conducted in the U.S. with 16,000 respondents and the BAV is also conducted in 49 other countries. Geist magazine of Vancouver has come up with a wacky new subscription promotion -- the Geiste Erasure Poetry contest. In it, a passage from Susanna Moodie's Roughing it in the Bush is copied. Without changing the order of the words, but erasing as they will, entrants (who pay $20 -- which includes a one-year sub) are to create a poem out of the passage. There is no word limit. The winner gets $500 and a trophy. second prize $150, third prize $100 and all winning entries will be published in Geist and on geist.com. The magazine helpfully provides the text block and an example of an erasure poem that was published in Geist 77. A cheque presented to SAIT Polytechnic in Calgary in the name of Amber Webb-Bowerman marked a significant milestone in a remarkable memorial drive. Friends of the journalist, slain three years ago, have managed now, with the $10,497.93 cheque, to build an endowment of more than $28,500 which will ensure that a journalism scholarship of $1,000 will be given in her name in perpetuity. The Amber Webb-Bowerman Memorial Foundation (AWBMF) is a registered charity that was established in the summer of 2008 to honour and preserve the memory of journalist Amber Michelle Bowerman (nee Webb) who was killed in a multiple murder-suicide on May 27, 2008. Webb-Bowerman had studied journalism at SAIT Polytechnic and later became the full-time editor of the SAIT’s campus newspaper, The Weal, where she helped lead, mentor and teach the student reporters. Ashley Kascak was the inaugural winner of the Amber Webb-Bowerman Memorial journalism scholarship at SAIT in 2009. The foundation's next goal is to establish a similar endowment at Mount Royal University in Calgary. The foundation also plans to continue supporting the annual student writing award it has established with the Western Magazine Awards Foundation. Chase down the story in a literary publishing board game called Soho! Now we know what the editors of the UK literary magazine Smoke have been doing on their recent sabbatical -- they were inventing a board game called Soho!. It should appeal to magazine people on a whole bunch of levels, not least of which being its hilariously complex rules. Each of 2-6 players in the game is the editor of a small literary magazine, chasing the copy from a bunch of recalcitrant freelance writers through the half dozen pubs in Soho and careening around its one-way street grid on foot, on a bike or in a taxi.There are various obstacles (getting waylaid in a pub could be one). The noble editors’ thankless task is to contact all six writers and extricate their beer/sauvignon-stained prose from whichever unwholesome pocket or handbag it’s been stuffed in. The first to do so scores a small moral victory or, to borrow a phrase from Monopoly, wins. Bob Lewis, the former editor-in-chief of Maclean's magazine, has been named the chair of the board of the Canadian Journalism Foundation, succeeding John Macfarlane, editor and co-publisher of The Walrus, who completes a three-year term. In announcing the appointment of Lewis the CJF also named three new board members: Dr. Christopher Waddell, former journalist and director of the journalism program at Carleton University; Sharon Mathers, senior vice-president, communications and public affairs at CIBC; and Denis Couture, executive vice-president, public affairs at the Caisse. Lewis was with Maclean's for 25 years, as Ottawa bureau chief, managing editor and editor-in-chief from 1993-2000. He retired from Rogers Media in 2005 after five years launching and running the content development department. Prior to Maclean's, he was a correspondent for the Time-Life News Service in Canada and the U.S. after starting in the business with the Montreal Star. The Canadian Journalism Foundation is a not-for-profit organization promoting outstanding journalistic achievement through its annual awards program (presented June 7 at its annual gala), operating the J-Source.ca and ProjetJ.ca websites, and working with leading journalism schools and the Media Management Education Program in collaboration with the Rotman School of Management at the University of Toronto. The special issue launch is the first-ever print and digital compilation available for download on the iPad, which is priced at $5.99 on newsstands and $4.99 in the iTunes store, though New Yorker subscribers already receive the digital content as part of their pricing plan. By 2012, 12% of U.S. adults will have some sort of e-reader -- a Kindle, Sony Reader, NOOK or similar device -- according to estimates by eMarketer. By the end of this year, there will be more than 20 million readers in consumers' hands. The information assumes that there is no sharing of devices, but Nielsen reported last year that about a third of e-reader owners share with at least one other person. Which would make the potential audience significantly bigger. [This post has been updated] The earliest there can be a mail strike or lockout, given required 72-hour notice, would be this weekend (more likely Monday) but the likelihood increased only a bit with the rejection Tuesday by Canada Post Corporation of the latest contract proposal from the Canadian Union of Postal Workers (CUPW). Neither side has chosen to give the required notice, which is a hopeful sign, though magazine publishers will be wondering if imminent direct mail should be sent into the mail stream and if current issues of magazines will be delivered to subscribers. "There was no explanation of these [CPC] figures." said a statement from the union. "Exaggerating the cost of union demands is a tactic that has been used by CPC in all previous rounds of bargaining to distract attention from the real issues and justify taking a hard line during negotiations." The union proposal asked for a 3.5 per cent wage increase in each year of a 3.5 year agreement. The latest issue of MoneySense magazine reports that it costs $1.45 an hour to raise a child; an astounding total of $243,660 to raise one to age 18. And that doesn't include the costs of sending them to college or university. According to a release from the personal finance magazine, it teamed up with a consulting firm to compile the statistics and found that kids cost less as they get older (it's costlier to clothe a baby than a teenager, for instance) but that a steadily larger proportion goes on food ($895 for an infant, $2,400 for a teen). The issue gives a breakdown of the various expense categories including food, clothing, health care, personal care, recreation, transport, shelter, furnishings and childcare. We may grouse and complain about the costs of print subscriptions or single copies, but in Canada we should count our blessings for not being in Australia, where a subscription to The New Yorker can cost an astounding AU$681.50 a year and Sports Illustrated $563.55. The reason is that those magazines won't even bother selling a subscription directly to readers in the antipodes. According to a post on the blog of magnation, a magazine retailer and subscription service company, if you subscribe through them air-freighted copies are delivered 14 days after the magazines are on the New York and U.S. newsstands (rather than 2 months if they come by boat -- the only way they can be received direct from the publishers). "We’re not trying to rip anyone off;" says the post, "these prices are simply a reflection of our costs in order to sell you a subscription. We’d love to be able to sell a 12 month New Yorker subscription for $120 USD (the equivalent of around $2.40 an issue) but our wholesale costs as well as the price of postage mean that this simply isn’t possible. Nominations are now being accepted for the Peter Gzowski Life Literacy Fellowship in honour of the late beloved broadcaster, magazine and newspaper editor and writer. The fellowship is administered by ABC Life Literacy Canada and provides one journalist with $3,000 to research and develop a story about adult literacy in Canada. 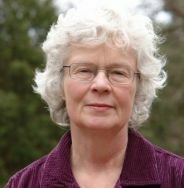 The 2010 winner of the first fellowship was Susan Quinlan of the Prairie Post West newspaper (you can read her story here). Interested writers can find more information about the submissions and submit their story idea here. Gzowski was managing editor and later editor of Maclean's magazine, entertainment editor of the Toronto Star, editor of the Star Weekly. He become best known for hosting CBC Radio's This Country in the Morning and its successor Morningside. Heavily invested in the literacy movement, which seeks to address the fact that four out of 10 Canadian adults struggle with low literacy, Gzowski founded the PGI Golf Tournaments for Literacy in 1986, vowing to raise $1 million; to date the tournaments have raised more than $10 million net, one of the most successful fundraisers for literacy in Canada. Time for a magazine writer to win this, we think. Lots of time to come up with a good idea; applications close on Friday, August 19. Is Kobo e-reader a missed opportunity for magazines? More than a year after it launched, the Kobo e-reader newsstand still does not carry a single Canadian magazine. While it offers a range of Canadian newspapers, ranging from the Globe and Mail ($15.95 a month or $0.65 an issue) and the Edmonton Journal ($13.99 a month or $0.55 an issue) the only magazines it offers has not changed or grown and all are U.S.-based. For instance, Harvard Business Review ($7.95 a month), The American Scholar ($7.95), PC magazine ($2.49) or The Nation ($2.49). Q: I'd be interested (for publication) to know why the Kobo e-reader newsstand carries no Canadian magazines, though it does carry a range of Canadian newspapers. I have nothing against Harvard Business Review or The Nation, but why isn't Canadian Business or This Magazine available, too? Does this indicate a lack of interest on the part of readers, or publishers or both? 1. Availability - Not many Canadian magazines are available in digital ePub format by their publishers. 2. Market readiness - related to #1 - The magazine industry is still in flux as to the direction it will take on digital content. Therefore, investing in one approach, only to throw it out in 6 months, is risky. 3. Little customer demand to date. It's not something our customers are jumping up and down for today. Kobo has announced a new edition of its reader that has easier-to-navigate "touch screen" version of the reader. the new Kobo eReader Touch Edition features an amazing new Real Touch ‘page turn’ experience. Now easily turn pages by swiping or tapping the new Pearl 6” eInk technology 16 level grey screen that provides a superb, high contract reading experience even in bright sunlight. Multiple magazine covers have been reported on here several times recently (the Maclean's "tumble" cover; Toronto Life's three random newsstand covers). Now the feisty urban affairs magazine Spacing has taken the concept one better with four different covers used to present its first national print edition (that's the Montreal and eastern Canada edition shown above). Until now, Spacing has really only been available in print in Toronto or by subscription; although it has established online urban blogs in cities across Canada (Montreal, Ottawa, Atlantic (Halifax) and soon Vancouver. The national edition, which is out June 6, is a milestone for Spacing, says its publisher and creative director Matt Blackett, a way of ramping up its national profile. It will be bigger (112 pages, compared with normal 80), perfect bound, a bit more expensive ($9.99 compared with $8) and promoted with a major newsstand push and a cross-country tour. 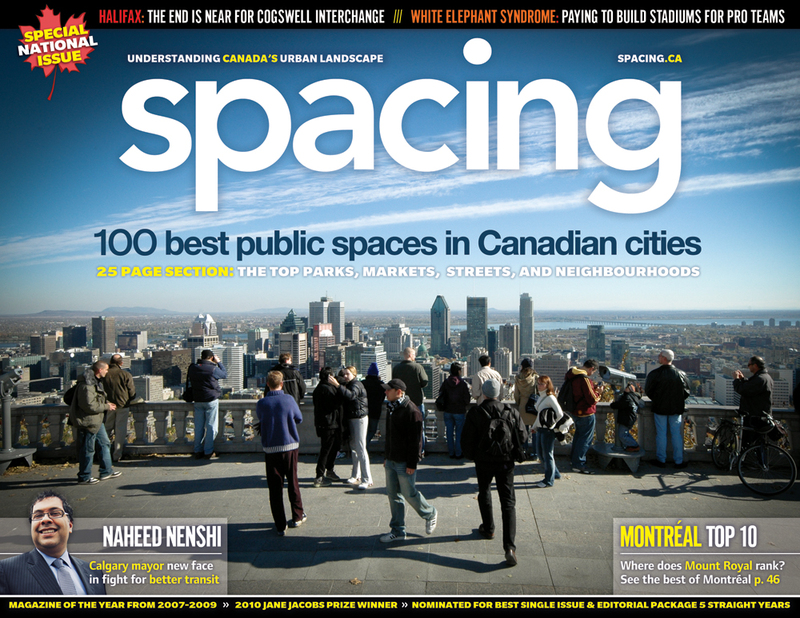 The cover theme of the issue is 100 best public spaces in Canadian cities. National coverage will involve different covers: Montreal/east; Toronto/SW Ontario; Ottawa/East Ontario; and Vancouver/western Canada. The magazine will be publishing more than double its usual 8-10,000 copies; this time it will be 20,000 and it will be in 88 Chapter/Indigo stores with a 2 week promotion and will have window promotions in many indy newsstands across the country (served by Magazines Canada.) For example, Atlantic News in Halifax will carry it; the store has been where Spacing has sold its street name buttons for some time. Blackett said that this first national print issue is a response to readers' constant questions; the eventual goal would be to do up to three national print issues a year, complementing three local online issues. The national issue will be supported by a 10-city tour across the country, with events being held during June and July. One focus for the issue will be the need for a national transportation strategy and includes an interview with Calgary's new mayor Naheed Nemshi and a column by former Toronto mayor David Miller. [This post has been updated]Canadian Business magazine commissioned well-known US commentator Henry Blodget (EIC of Business Insider) to pass judgement on the likely fate of the maker of the BlackBerry and (now) the Playbook, Research in Motion. His verdict (published online by Canadian Business and simultaneously on Business Insider)? RIM is toast. Blodget said he was a 10-year devotee of the BlackBerry, which was rarely more than two feet away from him, 24 hours a day. By creating the BlackBerry, Research In Motion revolutionized mobile productivity. For nearly a decade, the company easily fended off the competition by providing the best personal-information gadget on the market. It silenced its critics. It reduced Palm, a previous leader in mobile gadgets, to a pile of rubble. And it made its shareholders rich. But now, Research In Motion’s amazing run appears to be over. The company has lost its lead in the smartphone market, and its market share is falling rapidly. And many long-time addicts like me have switched to iPhones or Android phones. "The most likely scenario for RIM is that it becomes Nokia, a company that once dominated the cellphone market but lost several steps and is now scrambling to stay relevant. A worse scenario would be that RIM becomes the next Palm, a one-time leader that falls on its face and is eventually sold for scrap to a larger technology player." Musicworks, the magazine that brings some amazing contemporary music to its readers (every issue comes with a CD) in its upcoming summer issue will be showing readers how to make instruments out of vegetables, such as a carrot made into an ocarina, using only some kitchen tools and a drill. The magazine was inspired by the Vegetable Orchestra of Vienna which creates, composes for and performs on veggies. The magazine is offering a package deal that includes buying the magazine, with its usual full-length CD plus the CD "Onionoise" from the Vegetable Orchestra of Vienna for $20 + shipping, only until June 15. Carrot Slide Whistle from Musicworks magazine on Vimeo. The editor-in-chief of BC Business magazine, Matt O'Grady, has resigned after publisher Peter Legge killed an investigative cover story as the magazine was going to press. Today was O'Grady's last day on the job. The spiked cover article, by Richard Littlemore, concerned a libel case won by former senator Ed Lawson against the Vancouver Sun's business columnist David Baines. The article had been thoroughly lawyered, O'Grady told Canadian Magazines. Legge considered the matter for three weeks before killing the story on the last day of production. 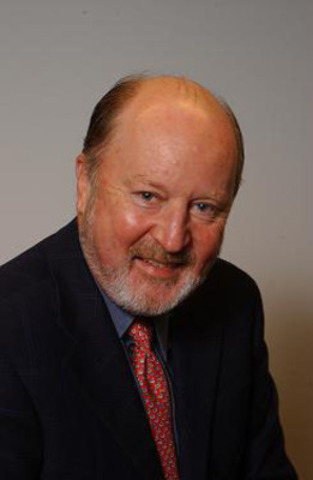 BC Business is a monthly with a circulation of 26,000, published by Canada Wide Media Ltd., which also produces 11 self-owned magazines, 30 custom publications and a range of e-newsletters and websites.Peter Legge is chairman and CEO. O'Grady became editor-in-chief of the magazine in March 2008 after being a freelancer and, before that, associate editor at Vancouver magazine and assistant editor at Western Living. In the time he was with the magazine it won 22 Western Magazine Award nominations. [Lawson's] lawyer, Roger McConchie, had argued that Baines had artfully crafted his article to infer [sic] that Lawson, the former Canadian head of the Teamsters union, was corrupt. Lawyer Robert Anderson, acting for Baines, had earlier described Arctic Oil and Gas's claims of energy reserves to be the equivalent of owning moose pasture. "The simplest thing is that we just had a difference of opinion whether it was a right fit for BC Business." He said he invited O'Grady to "come back and see me this afternoon. I don't want you to resign." Tuesday, Legge said: "It's tragic - for me as well as BC Business. I like Matt. He did a good job. He worked hard." "I like Peter. I respect his right. He owns the company. It's his reputation. It's his bank account on the line. I don't begrudge him the decision he made. But I don't regret the decision I made. When you've lost the confidence of the publisher, that's a good time to part ways." Word from Britain is that readers spend more time reading a publication using apps on a tablet than on the publication's own website. A story from paidContent.org about research by Tiger Spike says that tablet users spend an average of 30 to 34 minutes on the sites it has developed for clients such as the Telegraph Media Group, The Economist, the Australian and the Mail Online. It also found that page views are five times the average for publications consumed on the web. At a recent City University panel discussion, News International’s chief marketer Katie Vanneck-Smith said, since introducing charges, The Times readers are “three times more engaged in terms of propensity to comment, time spent on website, they click more to advertisers”. This is likely because fleeting users, who arrived on single pages via search engines, have been turfed out. Previous research shows some tablet owners have shifted their reading of articles from the web and daytime to the evening and tablet. [Campfire is the chatroom client used by full-time staff.] According to the story, the editorial team picked up several story suggestions as a result. A consortium of five major U.S. magazine publishers who formed Next Issue Media in 2009 have finally unveiled their "digital newsstand". According to a story in MediaDailyNews, a preview is available exclusively on Samsung's Galaxy Tab 7.0, but will be introduced as a standalone app later this year. Next Issue Media was formed by Conde Nast, Hearst Corp., Meredith, News Corp., and Time Inc. with the goal of creating a shared digital newsstand to scale up digital content consumption. 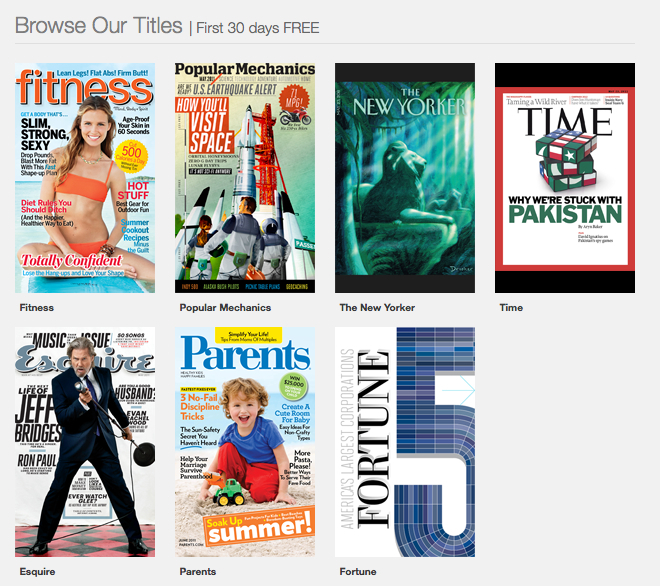 So far, the preview gives access to a handful of titles including Fitness, Esquire, Popular Mechanics, The New Yorker, Time, Parents and Fortune. Visitors to the web site can sign up to receive email alerts telling them when magazines' digital issues are added to the list. Limited though it may be, the Next Issue preview is still noteworthy because it demonstrates that the big publishers can work together toward a vision that many in the industry view as the digital endgame: a virtual newsstand where readers can pick and choose among titles, just as they might if they were browsing at Hudson News while waiting for the subway. On Monday, Conde Nast began digital subscriptions via Apple's iTunes store to four more titles (The New Yorker digital edition was launched on iTunes last week and became one of its top grossing apps.) The titles are Vanity Fair, Glamour, Golf Digest and Allure. The digital subs are $19.99 a year and current print subscribers get the digital editions for free. Magazine publishers large and small have every reason to feel nervous about the 11th hour negotiations between Canada Post Corporation and the Canadian Union of Postal Workers (CUPW). Next Wednesday (May 25) is the day on which either CPC will lock out its employees or CUPW will go on strike; either way, distribution of subscription copies and vital direct mail campaign materials will be disrupted for the first time since 1997. "Magazines Canada is communicating directly with federal officials expressing concern about the prospects of a postal interruption and encouraging the Government of Canada to assist the parties find solutions in the context of the fragile economic environment Canadians are grappling with." Ultimately, it will do no good to issue jeremiads and, unfortunately, there are few options open to publishers, particularly small ones. Alternative delivery methods are not only complicated, but generally too expensive and the newsstand cannot replace home delivery. The proportion of magazines delivering to a significant proportion of their audience digitally is still small, though a disruption may encourage more publishers to press forward with digital offers to their readers. There is some pushback against a recent decision in the U.K. in which a publishing company was ordered by an employment tribunal to pay more than £1,000 to an unpaid intern. According to a story by the Press Gazette, The National Union of Journalists claimed the first victory when TPG Web Publishing was told an intern working for its MyVillage website had the right to be paid for work she carried out over a two-month period. The tribunal heard that despite the fact she worked each day from 10am to 6pm and had been personally responsible for and in charge of a team of writers, for training and delegating tasks, collecting briefs, scheduling articles and even for hiring new interns, the company had told her she was not eligible for any pay because they considered her an intern. In her evidence Keri Hudson said she had been asked when the site was taken over by TPG Web Publishing Ltd if she would stay on and work for the new company. She was assured her pay would be fixed. After five more weeks she was informed she would not now be receiving a payment for the work she carried out – she resigned and took out a grievance. There are no guidelines defining "intern" or "volunteer"
TPG's editorial director Nia Williams said she believed that internships can be crucial for graduates who enter a highly competitive job market. “Interns are not used by all companies as cheap labour, as reports suggest,” she added. "Internships are set up to give graduates work experience, allow them to try their hands at a specific career and basically improve their employability – particularly valuable in these difficult times for those looking for jobs. “A lot of time and resource goes into training unqualified and inexperienced interns to prepare them for working life and this is done at company expense. “In the case of My Village, interns not only benefited from getting their work published and attributed to them but they were often treated to free lunches and event tickets from the venues they reviewed." [This post has been updated]In what is a major rationalization of b2b publishing in Canada, Glacier Media Inc has announced the purchase of 15 trade magazines from Rogers Publishing Limited as well as associated digital properties, trade shows and databases that were key parts of its business and professional publishing group. This is about one-third of the Rogers business and professional titles (the company has 55 consumer and b2b titles and 45 digital properties) Publications such as Food in Canada, Le Bulletin des agriculteurs, Canadian Packaging and Emballages, HPAC and Meetings & Incentive Travel (including Incentiveworks, Canada''s largest trade show for the meetings, incentive travel and promotions industry) will be integrated into Glacier's Business Information Group. [Update: Other titles included are Canadian Plant and Canadian Plant West, Canadian Metalworking, Plastics in Canada, Materials Management &Distribution, Purchasing B2B, Design Engineering, Hardware Merchandising, Canadian Contractor and PCC, On-Site, Canadian ManufacturingOnline and Frasers.com. The transaction (for which terms have not been disclosed) is to close May 27. "While transitions of this sort can be challenging, we are confident that Glacier understands the place many of these titles hold in terms of their legacy within the history of Canadian publishing, and their markets will be well-served in their new home. The leaders at Glacier also understand and appreciate the talents of their new employees and are keen to work with them." This is a major shift for Rogers and should probably be viewed in light of major management changes at Rogers, including the announcement that CEO Brian Segal is leaving the company. One of the people said to be considered to replace him is John Milne, head of the business and professional group. There has always been speculation that Rogers -- whose major emphasis is its cable, wireless and broadcasting business, might want to unload its print publications at the right price. Clearly what Glacier was offering for these 15 magazines and related digital properties would qualify. One wrinkle that will have to be ironed out is membership of the Rogers b2b titles in Magazines Canada. This week it was announced that the Canadian Business Press -- a shadow of its former self with the defection of Rogers' titles to Magazines Canada -was giving up being a membership organization and becoming a foundation principally concerned with supporting its annual Kenneth R. Wilson awards program. Glacier was one of the remaining mainstays of CBP who had not joined MC. Now, it owns 15 titles that do belong and the question is whether this will result in Glacier becoming more involved in the big tent industry association or pulling its newly acquired magazines out. Labels: acquisitions, Glacier Media Inc. While talks are continuing between Canada Post and the Canadian Union of Postal Workers (CUPW), the union has announced a press conference tomorrow morning to talk about strike action. The earliest date that CUPW could go on strike -- in which case letters, parcels and magazines won't be delivered -- is May 25th.Canada Post has created a dedicated website to update the public by posts, e-mail or text. The union's site provides its perspective on such outstanding issues as short term disability, overtime and staffing as well as an eDigest for updates on negotiations. Okey Chigbo has been promoted to editor of CAmagazine, where he has worked for the past 13 years, initially as senior editor, then as editor, English edition and, since the departure of the former editor Christian Bellavance last July, interim editor. His appointment was announced to staff effective May 16. Chigbo has worked at and for Canadian magazines including Equinox, Canadian Living and Why Magazine, has a degree in economics from Simon Fraser University and has won several writing and editing awards. The National Magazine Awards will be emceed by Jacqueline Hennessy a Toronto-based freelance writer, actor and broadcast journalist as well as a former National Magazine Awards Gold winner. She is currently contributing health editor at More magazine and is the former associate editor for Chatelaine magazine. Other journalism awards she was won were the Canadian Nurses Association Award of Merit (recognizing health care reporting) and the Canadian Journalism Federation Greg Clark Award. As an actor she has played, among other things, a twin prostitute in the David Cronenberg film Dead Ringers. She also holds a doctorate in French literature. Her appearance is sponsored by the Ontario Media Development Corporation (OMDC). You can save yourself $15 off the $150 ticket for the event by booking before the early bird deadline May 20th (Friday). OWL was launched in 1976 and together with its companion age-related magazines Chirp (ages 3 to 6) and chickaDEE (ages 6 to 9) were bought in 1997 by the youth division of Bayard Canada, which also publishes a number of other English and French lanugage periodicals, including Pomme d"Api Quebec, Les Debrouillards, J'aime lire Quebec, Good Times and Le Bel Age (the latter two in partnership with Transcontinental Media). It also produces books under the Owlkids imprint. Bayard is a large international publishing operation. 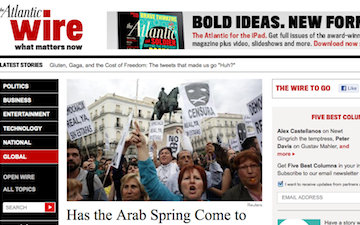 A 10-issue print subscription is $34; 10 digital issues are $19.95. Alex Roslin has won a Canadian Association of Journalists' award for his investigative magazine piece "The Meat of the Matter" in The Georgia Straight. The CAJ awards are Canada's only national recognition for the best in investigative journalism. Entries are now being accepted for the Canadian Online Publishing Awards(COPA). Started originally to honour the best online editorial and design in the magazine industry, the awards have enlarged to encompass newspaper, broadcast and online-only publishers. And in this, its 3rd year, it has added two new categories: best digital edition; and best tablet edition. Also new this year is that gold and silver winners will be awarded in all categories.The entry deadline is June 24. The awards program is presented by Masthead Online.